These programs are typically created with the goals of promoting and encouraging healthier lifestyles for their employees and their families, reducing healthcare costs of the organization, or simply because ownership feels it is the right thing to do. Fast forward a few years, and the same program is being offered. In most cases, employees have received some education and had fun, but the organization has yet to meet its original goals or experience a real culture change. Employees still seem to be leading unhealthy lifestyles, productivity and morale seem lower than ever, and healthcare claims continue to skyrocket. So why do you even have this wellness program? In my eight years working as Wellness Program Manager for a mid-sized benefits consulting firm, I have been a part of and have seen the good, the bad, and the ugly of the programs. I have learned from mistakes made early on, and I value sharing those experiences with those I have the opportunity to consult with. I share firsthand examples from my own company’s program, as well as the experiences of my clients and other business partners. A program set up successfully – with the right support, tools, partners, and initial incentives – will absolutely reap the reward, and your organization should recognize a true cultural change. These are the key factors that I believe contribute most to the success of a wellness program. 1. Secure senior management commitment and participation. It is easy for business owners to say they want a wellness program, but it is a different story when they actually embrace the concept, support the process, and engage in the program themselves. Owners of organizations have come to me for help in implementing a wellness program. They assign one person to be in charge of the program, typically someone whose time is already limited, and for one reason or another the program stalls. If the top leadership of the organization is not supportive or engaged, it could take anywhere from six months to five years trying to get a sustainable wellness program off the ground. The program may not even take off at all. I have seen these programs fizzle for many reasons, including a shift in business objectives, lack of established goals, or lack of participation or role-modeling from management or ownership. It can be recognized early whether a program is going to succeed by the support it has from its leaders. Think of a successful program much like the game “follow the leader.” Good leaders and owners should not only sponsor the program, but should also be actively engaged and supporting it, leading by example. When employees see owners and employers participating and supporting the program, they too will “follow the leader.” Once you have backing from the people who invoke change within your organization, laying the groundwork for the program will become a smoother process. 2. Survey the organization and gather aggregate data to establish need and risk areas. Once you have built the foundation, it is a good time to collect and gather data to determine need and evaluate aggregate risks in the organization. Of those organizations that created the participatory programs we discussed earlier, how many of them do you think actually asked their employees first what they wanted or needed in order to change unhealthy behaviors or lead a healthy lifestyle? What lifestyle-related claims is the organization experiencing that might be able to be controlled with interventions? What health risks exist within the organization? Organizations typically roll out the program before they gather the data, and then look back and wonder why their participation in their program was so low. Logically, it is because the employees didn’t want or need it or see the value. When working with a benefits consulting firm, organizations ask for employees to be surveyed annually on their likes and dislikes in medical and dental coverage. It only makes sense that employees also be surveyed about their needs in a wellness program. The employee wellness survey may include questions about areas where they may want help, programs they would be willing to participate in, what would motivate them to engage in the program, and whether or not they are even looking to make any changes. Do not worry or be discouraged, as there is always five to ten percent of a population that is resistant to anything and will never participate regardless of what you provide. Additional data is then obtained by analyzing your organization’s aggregate claims, if data is available. Along with claims data, organizations may also compile aggregate data through health screenings, biometrics, health and fitness diagnostics and assessments, blood work, and more. 3. Utilize existing tools and resources, establish partnerships and seek guidance. 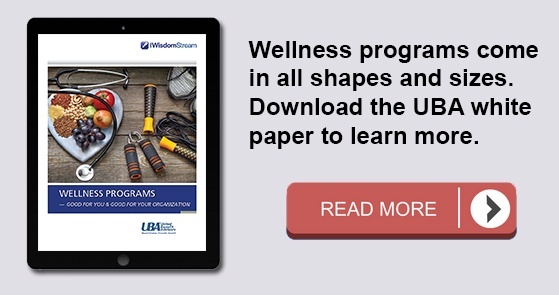 Many organizations may not be aware of the variety of wellness program tools and resources available to them. First, look to your benefits insurance consultant. Qualified, reputable benefit consulting firms now have credentialed wellness program managers or coordinators on staff to work alongside you and your team. Consultants can help navigate what is available to you from your insurance carrier or third party administrator and are likely tapped into local and national resources, wellness vendors, and other workplace wellness tools. One of the best parts of my role as a Wellness Program Manager is to share my passion for wellness with our clients and help them design a sustainable program. If you have a benefits consultant that is not providing this level of support or staff, it is worth inquiring. Establish a partnership with a wellness vendor. This is one resource that is often overlooked because organizations try to do it themselves. Sustainable programs have vendors that can design programs based on need and risk, manage day-to-day program tasks, provide ongoing reporting, and recommend best practices for goal achievement. Over the last few years, hundreds of new wellness vendors have entered the marketplace. I have worked with great vendors and vendors that I will not work with again. Employers should not settle for a “cookie cutter” program. Look for a partner that shares a similar view on wellness, one who will customize a program to satisfy your organization’s objectives. Ensure that you partner with a vendor that offers actual guidance and management of your program. CAUTION: Many vendors promote account management as a top service they provide, but few deliver. A great way to find the right vendor is through the partnerships your employee benefits consultant has established or from other business referrals and testimonials. When I place a client with a vendor, the most important thing I look for is the type of service my client will receive. Accept nothing but high quality and service. Subscribe to the UBA blog for part 2 in this series, which will cover the final steps to successfully set up a program with the right support, tools, partners, and initial incentives. To understand legal requirements for wellness programs, request UBA’s ACA Advisor, “Understanding Wellness Programs and Their Legal Requirements,” which reviews the five most critical questions that wellness program sponsors should ask and work through to determine the obligations of their wellness program under the ACA, HIPAA, ADA, GINA, and ERISA, as well as considerations for wellness programs that involve tobacco use in any way. With over 20 pages of comprehensive guidance, examples and frequently asked questions, this is an invaluable employer resource.